Can we choose the impossible? Ferenc Huoranszki’s recent book – Freedom of the Will: A Conditional Analysis – tries to answer some of the oldest metaphysical questions about free will. Huoranszki has three main theses. The first is a traditional form of compatibilism: he claims that we have moral responsibility and free will irrespective of whether our world is physically deterministic or not. The second and the third main theses concern the problem of control: Huoranszki argues that free will “only” requires the ability to choose and to do otherwise, so we can be morally responsible even if we do not have any direct or indirect intentional control over our choices and acts. Huoranszki’s third thesis is that we have free will even if our acts and choices are not controlled by our reasons and rationality. Thus his theory of free will is ‘voluntarist’: he claims that the only ground of moral responsibility is our ability to choose and to do otherwise. Freedom of the Will is very clear and elaborate, offering discussions and solutions of a number of analytic puzzles about free will. The book is not only relevant to the metaphysical problem of freedom but touches heavily on the philosophy of action. Huoranszki applies his theory to such phenomena as moral weakness, negligence, weakness of the will (akrasia), and other irrational acts which have a moral aspect but usually fall out of the scope of metaphysical discussions of free will. Perhaps, this is the reason why the arguments for voluntarism appear more plausible than Huoranszki’s reasons for accepting compatibilism and responsibility without intentionality. The analyses of irrational acts – the strongest part of the whole book – can support the so-called voluntarist conception of responsibility but they cannot help the compatibilist intuition. Furthermore, arguments for compatibilism are often based on implicit presuppositions which should have been explicated by the author. In what follows, I summarize Huoranszki’s arguments for compatibilism. I then attempt to show that Huoranszki assumes a theory of causation and laws of nature which is at least partly Humean. This Humean picture necessarily shows the problem of determinism and fatalism as similar to each other. Since the problem of fatalism is more dangerous than Huoranszki supposes, determinism is, thus, also a bigger problem than the Hungarian philosopher claims. In the second part of my review, I discuss Huoranszki’s views on intentional control and voluntarism. Huoranszki’s starting point is a well-known objection to compatibilism: the consequence argument. The consequence argument tries to prove that nobody has free will nor moral responsibility if determinism is true. Huoranszki argues against the three versions of the consequence argument that were formulated by Peter van Inwagen. Let me summarize, informally and very briefly, the gist of this argument – I do not deal here with the differences which can be found between its three versions. Van Inwagen argued that if the physical laws are deterministic, agents have no choice. Or, put differently, agents can make only one consistent set of propositions true at a given time t. This is because the remote past and deterministic physical laws together determine which possible states of the world become actual at any particular time t after the remote past. Furthermore, since nobody has a choice about the state of the remote past nor the content of the physical laws, nobody has a choice about what events will occur after the remote past in the actual world. Every agent can act in only one way, thus everybody can make only one set of propositions true at every particular time t. It means that nobody could have done otherwise than she did. Consequently, because no one can be responsible if she could not have done otherwise, no one is responsible for anything if determinism is true. Compatibilists adopt various strategies against the consequence argument. Huoranszki’s strategy is the following. On the one hand, he accepts that nobody can have a choice about the remote past and about the laws of physics. On the other hand, he rejects the idea that we have no choice about the present and the future. According to Huoranszki, even if determinism is true, we can make choices which influence the present and the future because we have the relevant ability to choose and to act. Although we do not have control over the remote past and the laws of physics, we obviously have the ability to control our actions. So the inference from the premises to the conclusion must be false because we obviously have the psychological ability to choose. Maybe, in a sense, we do not have choice if determinism is true, but it is rather mysterious what this sense is. Huoranszki thinks that even if somebody can explain it, the reasons would be too abstract to endanger moral responsibility. According to him, it is implausible too that if determinism is true, we are able to act in only one way in a particular situation. In other words, determinism does not mean that we can make only one set of propositions true in a situation where we have to decide. For instance, if I have the ability to swim and I had the opportunity to swim at t, but I went sunbathing instead, would we say that I had no choice about not swimming at t because I could not have rendered false various propositions about the remote past and the laws of physics? It seems implausible to say that I lost the ability to swim at t because of the remote past and the laws of physics. Again, Huoranszki does not rule out the possibility that someone might explain in what sense the remote past and deterministic laws can take away our abilities. But Huoranszki expects that this explanation would be too remote from moral problems. Huoranszki thinks that we must have the ability to choose and to do otherwise to have free will and moral responsibility. So his conditional analysis combines a counterfactual analysis with a theory of abilities. The counterfactual statement ‘S could have chosen otherwise’ is true only if S has the ability to do something else. Thus Huoranszki’s theory entails that abilities and powers imply the relevant possibilities and not the other way around. This is why Huoranszki claims that all variations of van Inwagen’s consequence argument are irrelevant to an analysis of moral abilities. Van Inwagen, for example, presupposes that ‘abstract’ nomological possibilities determine what kind of abilities an agent has. But as Huoranszki points out, this is false or at least very implausible. A Ferrari has the ability to go faster than 300 km/h irrespective of whether our world is physically deterministic or not. According to Huoranszki, this is true even if the Ferrari never goes faster than 150km/h and the world is deterministic. The consequence argument simply proves too much. If this argument were conclusive, every object, not just persons, would have very limited abilities in a deterministic world. Thus Huoranszki agrees that free actions must be contingent in the sense that it must have been possible to choose and act differently in every situation in which we acted freely. But how can we have the ability to choose and act otherwise if physical determinism is true? Can free will override the laws of nature? At this point, Huoranszki is not entirely clear, so I’ll try to reconstruct his answer from various remarks that are scattered throughout the text. First of all, Huoranszki seems to believe that physical laws describe the relation between physical states of the world. This view is traditionally connected to ‘Humean’ theories of natural laws. According to Humeans, laws of nature do not involve metaphysically necessary connections between physical properties or physical events, they just describe the regularities that characterize the actual world. If a natural law holds between a former A-type event and a latter B-type event, it means event B always1 occurs after event A in our actual world. This does not exclude the possibility that A is followed by C instead of B in some other, non-actual world. The idea is that the A-B sequence is a stable regularity in the actual world. Nevertheless, there is an important problem about this conception when it comes to the debate about free will. If we have a Humean view about the laws of nature, does it not follow that the actual world is ‘a complete whole’ at each moment of time? Does not therefore follow that the actual world’s past, present, and future physical states are already determinate? If they are not, then how can there be any relation of similarity between them? According to Huoranszki, the consequence argument collapses into the problem of fatalism because both fatalism and the consequence argument say that we cannot alter the truth-value of propositions. The problem of fatalism arises naturally at this point, because – apparently – past, present and future states of our world must already be determinate if every future-tensed sentence has a fixed truth-value. Humean conceptions of natural laws also seem to imply the eternalist theory of time or at least that valid natural laws prescribe which event will occur in the future. But Huoranszki claims the problem of fatalism is not an important issue if we consider what the conditions of moral responsibility are because it has nothing to do with the abilities of agents. The question here is how we interpret the problem of fatalism. I think that fatalism is a real danger for free will since it means that making a difference (in a strong sense) is a metaphysical illusion. Past, present and future are equally fixed and determinate, so our fate is settled forever and making a difference is impossible. How can we be responsible for something which is fixed forever? Even if my choices are parts of this eternal metaphysical structure, they are unchangeable and there is no relevant possibility for them to be otherwise in our actual world. The problem is still here even if the metaphysicians do not believe in eternal time-structure but only in laws which prescribe physical events and thus our actual actions. It seems to be evident that if a physical law (with the remote past) directly prescribes which physical event will be actual at a given time t, then it also indirectly prescribes which possible action will be actual by prescribing physical events. If our world has a fatalistic metaphysical structure or there are physical laws which, together with the remote past, prescribe actual physical events, then I have no ability to choose otherwise in our actual world. Perhaps I have a counterpart in another possible world who is very similar to me but makes different choices. Indeed, these possible worlds can guarantee the metaphysical contingency of our fatalistic world but not the ability to choose or to do otherwise in our actual world. Even if there are such persons in other possible worlds who are identical to me in a sense, I can do only one thing in our world if natural laws are deterministic. And I am sure we ascribe responsibility to people not for the actions which they are able to do only in another possible world, but for actions which could have done in our actual world. Huoranszki repeatedly claims that this problem is too abstract. This claim seems to me to be question-begging. The problem about counterparts (and trans-world identity) proves just that fatalism concerns our abilities. If our world is fatalistic, then a Ferrari that never goes faster than 150 m/h does not have the ability to move faster than 150 km/h. Or, to put the point differently, in a fatalistic world objects, Ferraris, and persons have the ability to do and to choose otherwise only in a sense which is too abstract to be relevant when we ascribe moral responsibility to someone. If it is impossible that some concrete thing, x, actually does an A-act, it is impossible for x to do A (or it is possible in an unimportant sense). And if an A-action is impossible for some x, then x does not have the ability to do A. This is true even if this is not readily apparent when we see a Ferrari which is in a fatalistic world, given that it is not apparent in a fatalistic world that the world is fatalistic. Huoranszki would say that the Ferrari has the ability to move faster than 150 km/h but has no opportunity to move faster than 150 km/h if our world is fatalistic. Perhaps this distinction helps in the case of the Ferrari, but it makes no difference if we speak about moral responsibility. It doesn’t matter that I could not act in a morally right way because I had no opportunity or I was unable. It is impossible for me to choose otherwise if the world is fatalistic, so I am not responsible for my decision. If God is responsible for the metaphysical structure of our world, he can be responsible for our acts but nobody else can, under fatalism. I also have some reservations about Huoranszki’s theory of intentionality and responsibility. Huoranszki claims that if somebody could have done and chosen otherwise, she is morally responsible even if she does not have direct or indirect intentional control over her acts and choices. Negligent or careless agents are morally responsible for their omissions although they are often unintentionally negligent or careless. A driver who caused an accident because he did not pay attention is morally responsible even though he did not want to cause an accident. Similarly, if a professor forgets to lock the door of the office, she is morally responsible if somebody steals something from the office. Such people are morally responsible because they have the ability to do otherwise. The driver is responsible because he could have paid more attention and the professor is responsible because she could have remembered to lock the door. They had the ability to pay attention and do otherwise even though they failed to exercise this kind of intentional control. I agree with Huoranszki that such agents do not intend to act negligently. But I am not sure about whether they are responsible without any type of control which is somehow connected to intentional actions. Take the case of the professor. Suppose that she is thinking about a philosophical argument that refutes her favorite theory. She immerses herself in this problem and she suddenly finds the answer. She runs out of the office and forgets to lock the door. Moreover, she does not notice her omission until hours later when somebody calls her about the theft. Did she have the ability to be more attentive? Huoranszki claims that nobody can choose which alternatives she considers. I agree with this. The professor was not able to choose to consider the ‘door-problem’. Given that she is preoccupied with a philosophical problem, she was only able to consider it after she found the desired philosophical solution, whether or not she instantly tells somebody about his discovery. Perhaps she could have postponed the choice between these two alternatives but this is not important now. So if she had the psychological ability to consider the more relevant problem of whether she locks the door or not when she leaves, the question is why she did not use this psychological ability? Why did the problem of locking the door not appear to her? One possible answer is that the circumstances were not suitable. Maybe, when she is thinking about her favorite theory, the philosophy professor’s mind focusses only on those alternatives which are somehow connected to philosophical problems. But why does her mind have this feature? If it is due to her special genetic structure, we cannot blame her. Neither is she responsible if her parents or society in general did not affect her personality in such a way that she became a person who significantly inclined to think about these ordinary problems. So, contrary to what Huranszki says, it is not sufficient that the professor has the psychological ability to think about locking the door and to do otherwise. If some special explanations are true about why she does not use this psychological ability at time t, she is morally not responsible. In my opinion we blame the professor because we believe that protecting property is objectively more important than rushing to defend her theory against somebody else. Maybe, when it is necessary, important things automatically appear in our mind. If this mechanism does not work and she is not responsible for this dysfunction, she is not morally responsible. We cannot reasonably blame her. So I believe she is responsible for this omission only if it is a consequence of her earlier choices. Huoranszki does not agree with me at this point. He claims that if this professor had had the psychological ability to think about locking the door, she could have chosen and done otherwise. He suggests that sometimes we might be able to control our later decisions through earlier choices, but this is not typical. Furthermore, the long-term effects of our choices on our moral character are not foreseeable. If somebody seriously tries to become a kind person by pretending to be kind in every situation, perhaps she will become nothing but hypocrite. So Huoranszki concludes that the source of moral responsibility is not the ability of character formation. I partially agree with him. The Aristotelian model of character development which states that we can develop our moral character by some kind of practice is not enough to ground the indirect intentional control of our choices. If we act like a brave man in moderately dangerous situations, it does not follow that we will act bravely in case of extreme danger. But I think that character development typically works in a different way. If somebody’s single aim is to be brave and she is not interested in other virtues then she is probably motivated to be brave only because she knows that people respect brave people. However, this motivation can easily prove to be insufficient to become a virtuous person. A more effective way to develop one’s moral character is to follow one’s conscience every time. If someone sticks to this principle, she will be a morally good person even if she makes occasional mistakes. I suppose the professor in the earlier example is old enough to realize that she is frequently absent-minded. If she is morally responsible for her omission, she is so because she should and could care about this problem, given the mistakes she made earlier. Perhaps the professor is sometimes aware that her carelessness is a problem but she shrugs it off. Every time when this problem occurs to her she escapes to philosophy and does not try to deal with it. Her later failure to lock her office door is the consequence of this ‘strategy’. Nevertheless, if she did everything she is able to do prior to this omission, and she still made this mistake, we should not blame her and she probably has some psychological disorder. Consequently, having the ability to choose to do something (whatever this means) is not enough for being morally responsible. The professor is only responsible if she could lose her disposition to forget about the real world through some intentional choices or actions. In the end, I hold that some indirect and, in a sense, intentional control is necessary for moral responsibility. Huoranszki’s third main thesis is that we can be morally responsible even if our actions are not controlled by our reasons. It is the point where Huoranszki’s argumentation is the most persuasive. His voluntarism can explain why we have moral responsibility even if our will is weak. In case of weakness of the will (akrasia), the agent does not do what her reasons dictate. In Huoranszki’s view, reasons justify possible actions for the agent. Thus, for example, if somebody thinks that it would be best if she finished a paper but she instead does nothing because of laziness, she acts against her reasons. Although she did not finish the paper, she did not believe this was the right thing to do. Huoranszki claims that a weak-willed person is responsible for her akratic action because she had the ability to act and to choose otherwise even though she did not act on her reasons. So responsibility requires at best (!) that ‘at the time of action [the agent] must have been in a state (or, perhaps, more specifically, in a state of mind) such that it was not impossible for them to act for a reason’ (p. 122). I sympathize with this approach to akrasia. Nonetheless, if this theory is right, it is hard to see why people sometimes choose to follow their reasons while at other times they fail to do so. Huoranszki rejects the thesis that the akratic person has powerful desires which make it impossible for them to follow reason. But if the akratic person thought that a specific action was the best choice in her situation; furthermore, her desires and motives were not so impossible to resist, then why did she not resist? This is an interesting question which remains unanswered. I suspect that Huoranszki’s conception of akrasia could be more successfully combined with an incompatibilist theory of agent-causation. Unless we go for irresistible desires, the best explanation seems to be that the agent herself was causally responsible for not using her rational ability. Huoranszki’s analyses of other irrational acts are also interesting and – it seems to me – sound. Irrational agents who are not pathological are responsible because they could have chosen and done otherwise. 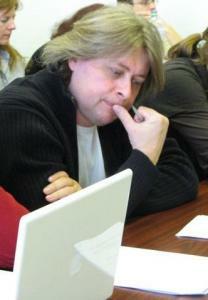 However, since Huoranszki did not persuade me that we have the morally relevant abilities to do and choose otherwise if determinism is true, and because the reasons and explanations of moral failures are more relevant than Huoranszki suggests, I cannot accept his compatibilist theory of responsibility, not even in the case of irrational acts. Huoranszki should have told us more about the relations between abilities, natural laws, and ‘abstract’ philosophical issues like fatalism. But regardless of these problems, Huoranszki’s Freedom of the Will is an exciting, clearly argued book that should be read by everybody who wants to know how contemporary compatibilists try to solve the metaphysical issue of free will. 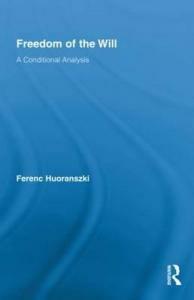 Ferenc Huoranszki: Freedom of the Will: A Conditional Analysis, 2011, Routledge, London−New York. 208 p.
See the shorter Hungarian version of this review here. 1Some forms of the Humean theory say ’almost always’ instead of ’always’ here, but this difference does not matter now.